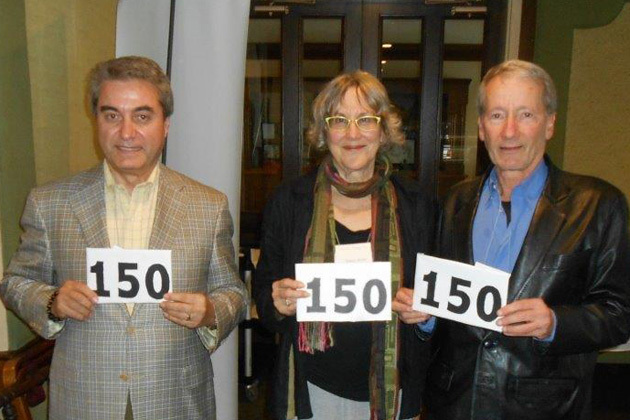 Recognized at the NorCal meeting for having achieved visits to 150 TCC countries — Farhad Kashani, Nancy Webb, Jack Mormon. Margo Bart will give a presentation on Easter Island, Bolivia and Guyana at the June 4 Northern California luncheon at Spenger’s in Berkeley, reports Coordinator Tim Carlson. At the March meeting in South San Francisco, Samer Kawar talked about ancient Persia; Pakistan; Iran; Nakhchivan, Azerbaijan; Georgia, Nagorno-Karabakh and Armenia. As an architect, he included his own sketches of many of the monuments and major sites. See more photos below. At the So. 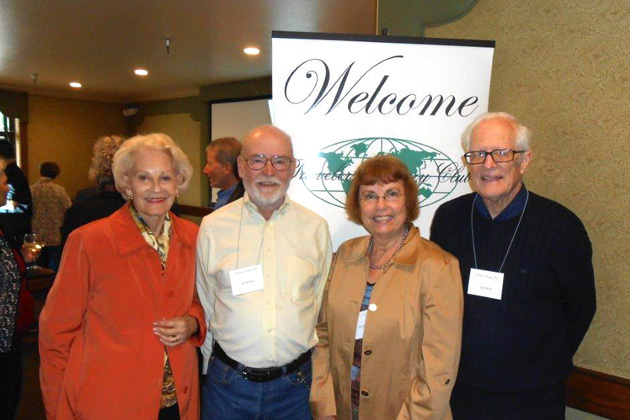 San Francisco luncheon —Lee Harnett, Ed Wilson, Celeste Graham, Jim Holl. 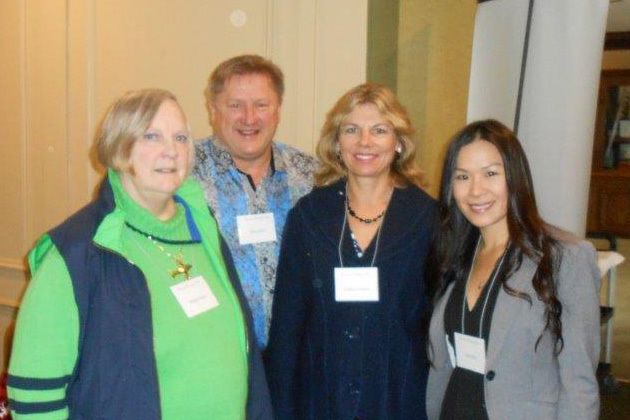 Margo Brady, Bill and Kathryn Hubbs, Lucy Hsu. 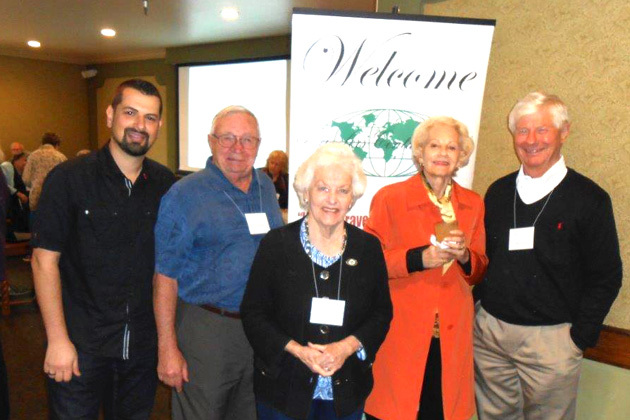 March meeting speaker Samer Kawar, with Nick Bowles, Peggy Nute, Lee Harnett, Boyce Nute.